SC Lists Triple Talaq Matters For Hearing From May 11, No Mention About The Bench. 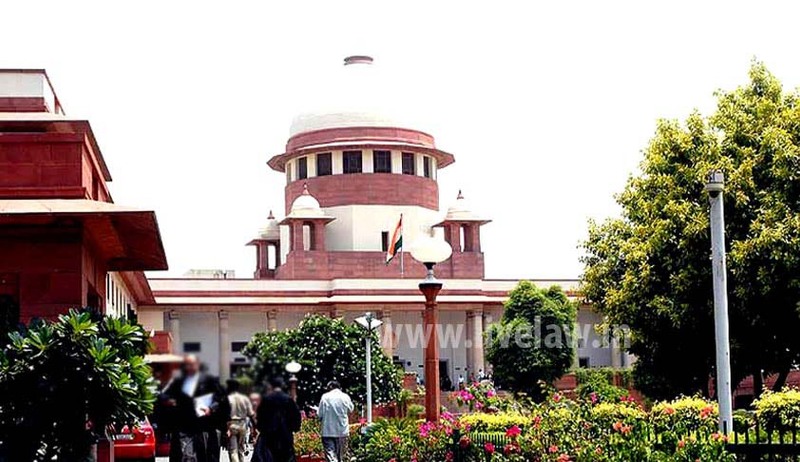 The Supreme Court has put out a circular regarding the commencement of hearing of petitions challenging practices like triple talaq, polygamy and nikah halala from May 11 but has surprisingly not mentioned the name of the judges who will be part of the constitution bench. The circular dated May 5, 2017 uploaded on the Supreme Court website merely says “take notice that the matter shown below which is to be heard by constitution bench consisting of five honourable judges will be listed from Thursday the 11th May, 2017”. Recently Justice Chelameswar had refused to participate in the vacation hearings citing personal reasons. The Supreme Court had already constituted two constitution benches for hearing other two matters. The bench comprising of Justices Dipak Misra, A.K.Sikri, Amitava Roy, A.M.Khanwilkar, and Mohan M.Shantannagoudar will hear the WhatsApp privacy matter. The bench comprising of Justices Madan B.Lokur, R.K.Agrawal, Prafulla Chandra Pant, D.Y.Chandrachud, and Ashok Bhushan will hear the Assam Mgrants issue.